Writing a blog means reading a lot of blog :). So coming across this gem I had to share it with you guys. Thanks Lisa Carter from heavenlygaitsequinemassage.com. It never ceases to amaze me, even as a long-time computer specialist, web designer and database developer, the wonders of today’s smartphone technology – even changing the way horse owners access their horse care information. Computer science is advancing at a lightening fast pace, almost to the point it’s truly hard to keep up with it all. Just when you get used to one new technology, something else is already on the market to replace it! But it’s great to know that this technology hasn’t left us horse lovers out in the cold. There are many wonderful tools out there for equestrian enthusiasts which allow us to access first aid, horse care and equestrian activity information at a touch. 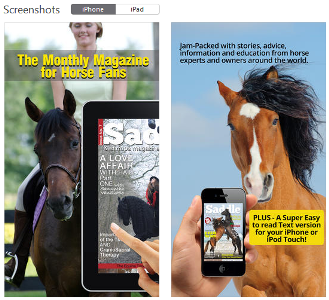 Below I’ve noted 10 cool smartphone apps for horse lovers that you might want to check out! 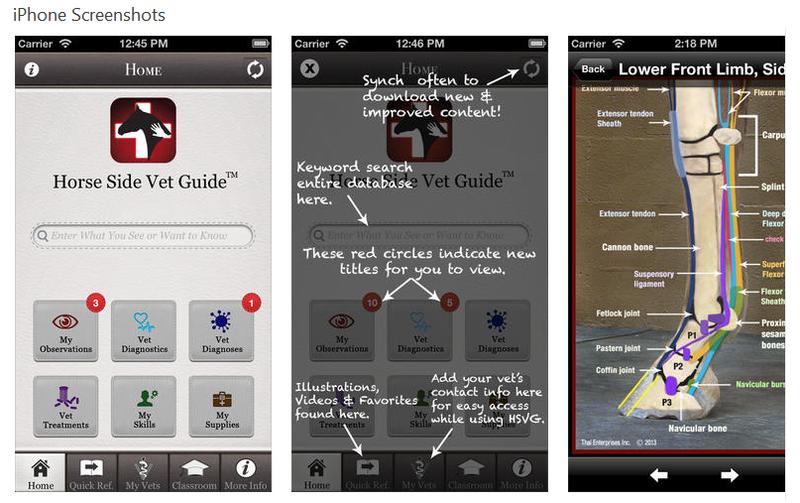 Search for answers in Horse Side Vet Guide®, a constantly growing knowledge-base of equine health information. Created by a life-long horseman and equine veterinarian with 20+ years of experience, HSVG helps you partner with your veterinarian to optimize your horse’s health. 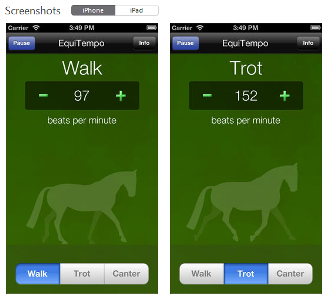 This app was created to use literally at your horse’s side. 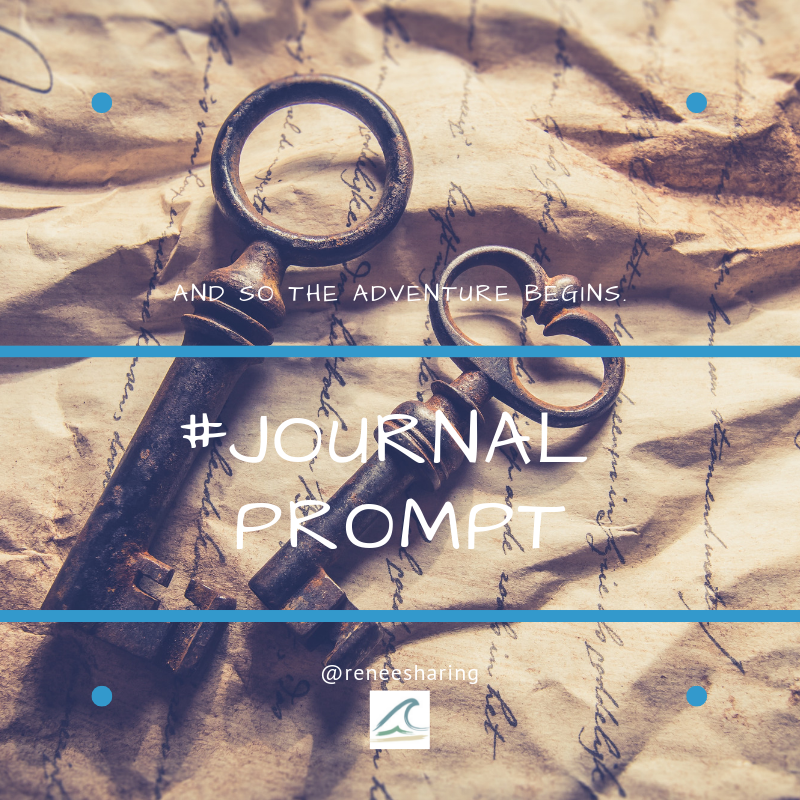 A resource that could go with you to the barn where you might notice something out of place and quickly access the most likely scenarios right at your fingertips. Easily search for helpful and credible equine health information using clickable equine models that walk you through a Q & A of where and what you are observing. This database has just about everything under the sun in it, all in a very intuitive and easy to use format. My Stable which prompts you to enter in specifics about your horse(s) to create individual profiles and make it easy to keep track of all aspects of herd health management. Tracks and stores health records and appointments for easy to manage scheduling. Track My Ride lets you track your exercise/ride history, including the route and individual horse, in the form of a log which can be also then be shared on Facebook with all your horsey friends. Calendar to store all your important horse appointments and upcoming events. theHorse.com News feed so you can keep abreast of all the latest news in horse health and care. Products lists of Zoetis products. Settings and Notifications area where you can set alerts for only the things you want to be notified about. Looking for a simple way to keep track of your horse health records? Well this is it! 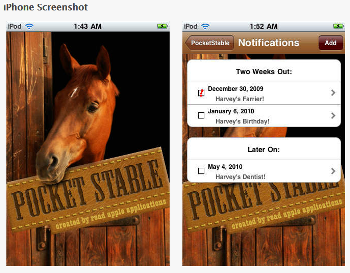 This easy to use smartphone app from RoadApple Applications lets you store important records and dates like farrier visits, vaccination records and even your horse’s birthday. 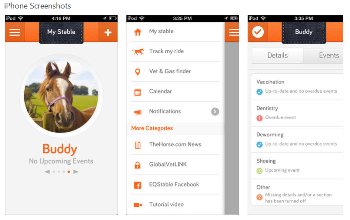 And all at available from your iPhone with reminders to help you keep your horse up-to-date on the things they need. The great mystery every horse owner wants to know but has trouble with finding the answer…how much does my horse weigh?? Well now there is an app which not only takes into account height, length and girth, but also this very important factor…your horse’s breed. 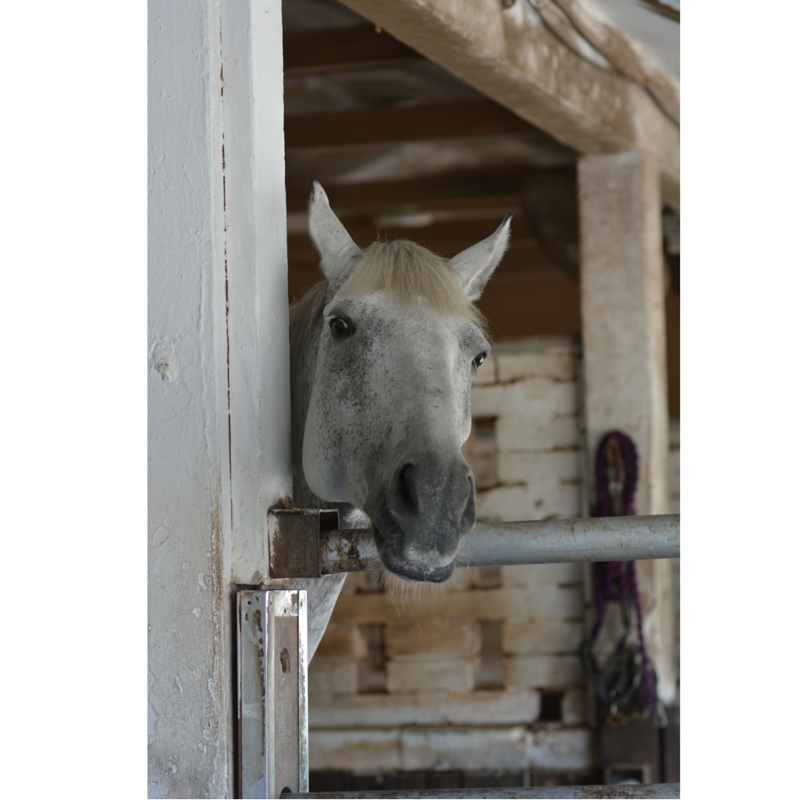 Knowing your horse’s weight within a fairly accurate range is important in so many things, like deworming, feeding, and medication dosing. Developed by Regents of the University of Minnesota, it’s easy to use and very inexpensive. This is a must-have app for every horse owner. This is one of the coolest apps from that I’ve had the pleasure to use. 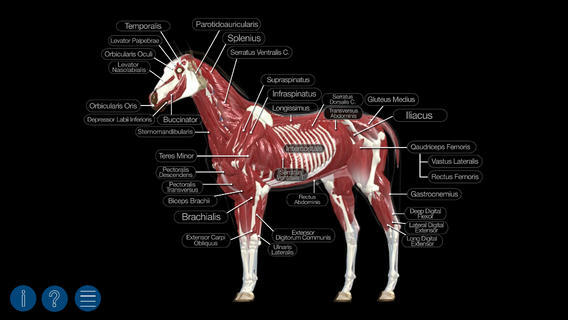 As an equine bodyworker, this app from Real Bodywork makes an invaluable tool both for my own reference and as a visual guide to show my clients what I’m talking about when referencing specific muscle groups or soft tissue references. It offers a complete 3D visual of both superficial and deep soft tissue layers of muscles, ligaments, bones organs and more with easy to read labels of each. The horse is rotatable for a truly interactive experience. It also has quizzes so you can test your knowledge. Don’t have a clue on how to set up your cavaletti spacing so that it’s ideal for your horse’s stride length? Or perhaps you need some inspiration on setting up a jump course. This app is an excellent tool to help you get started! Just enter your horse’s “type” and this app will do the rest for you. 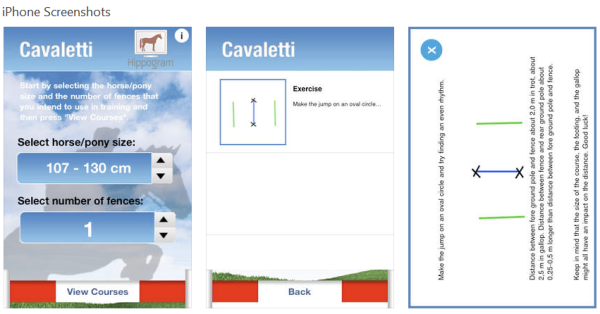 Marketed for dressage riders, this app would be beneficial for ANY rider looking to develop better transitions within each gait. Using a metronome, riders can rate their horse’s hoof beats to the app and work toward better communication and control with their horse. Pretty cool tool by EquiApps.com! Do you love to get out and explore the countryside? Well this app gives the avid trailriding enthusiast a whole new way to get out to those new trails to ride. The database of information for this app continues to grow as users can continually add and update information. Users can add local trails, as well as trails added by others. This next new feature could be life saving! With the “TEXT YOUR LOCATION” feature, you can text your coordinates to a friend or relative. In the event of an emergency this can be the difference between life and death. Plus, it gives your family and friends piece of mind knowing where you are. Another cool feature helps you find locations of overnight stables if you are traveling with your horse or in case of a breakdown. Definitely well worth the small investment for your safety and piece of mind in an emergency. 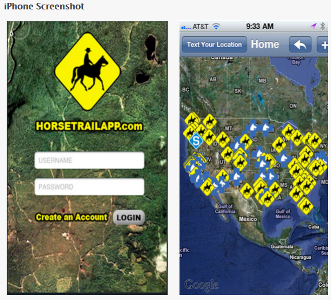 Another cool app for trail riders! This one has a slightly different user experience with real-time GPS tracking of your coordinates and tracking of the miles traveled, trail mapping and the ability to “mark” different obstacles or notable landmarks along the route. It also allows you to share your trails with others via social media and email and store pictures you take along the way. With the mileage tracking feature, this is an invaluable tool for the competitive distance rider. A great on-line publication dedicated to equestrian health, nutrition and horsemanship for both horse and rider. Get access to great articles from highly knowledgable equine professionals from around the world any time with this smartphone app. 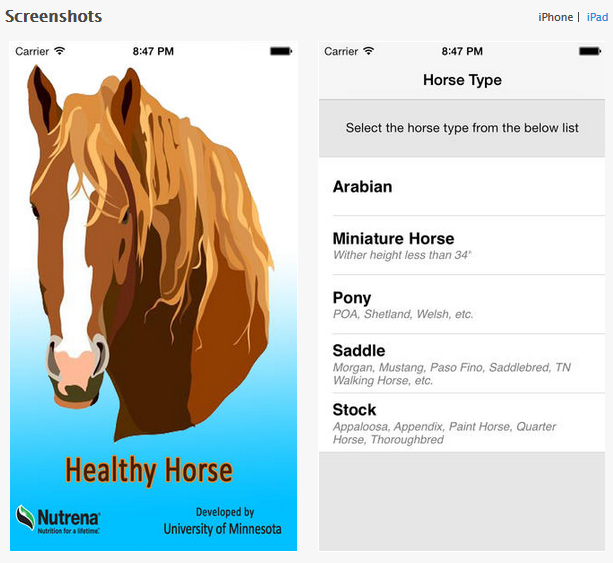 Have a horse-related app that you’d like to share? Please post in the comment section below and tell us about it! The information in this article is not meant to diagnose, treat or cure any condition or illness. Nor is it meant replace proper veterinary care. It is meant for educational purposes only. Always consult your chosen veterinary professional before starting your horse or other animal on any therapy. This entry was posted in Personal development and tagged blog, blogger, Coaching, dogs, equine, equinemassagetherapist, essential oils, fun, grateful, Gratitude, guidance, healing, holistic, horse, Horses, intuitivecoach, massage, Massage and Healing Therapies, Natural, natural therapist, naturalhorsemandship, naturalsupport, passion, passoinate, photography, quotes, support, young living. Why changing your mind is so worthwhile.